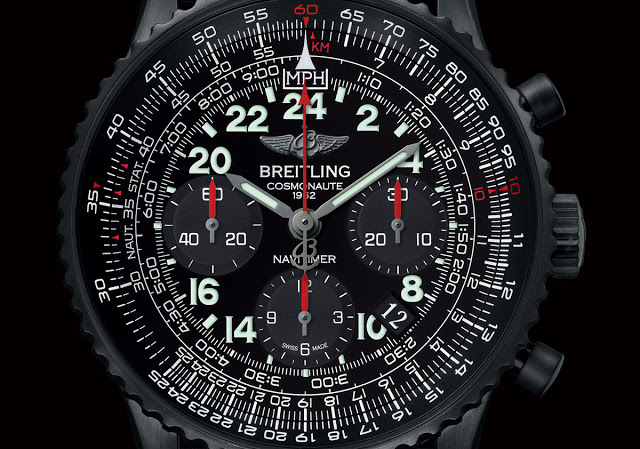 Breitling’s successful series of Blacksteel watches – the cases are steel with a DLC coating – has a new addition: the Navitimer Cosmonaute Blacksteel. Limited to 1000 pieces, the Navitimer Cosmonaute Blacksteel is the latest variation of the Cosmonaute, with its distinctive 24-hour dial. The original Cosmonaute was worn by astronaut Scott Carpenter aboard the Aurora 7 capsule in 1962, and the 24-hour dial was intended to help Carpenter distinguish day from night back on Earth. 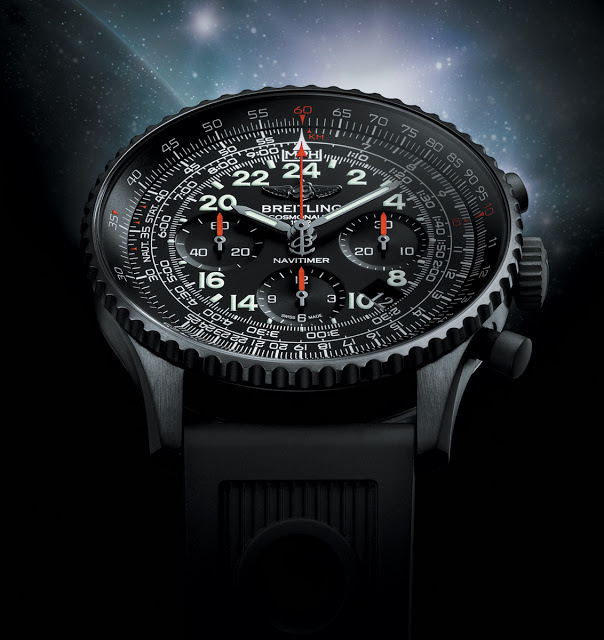 In reference to that, the Cosmonaute Blacksteel is engraved with the Aurora 7 mission insignia on its case back. 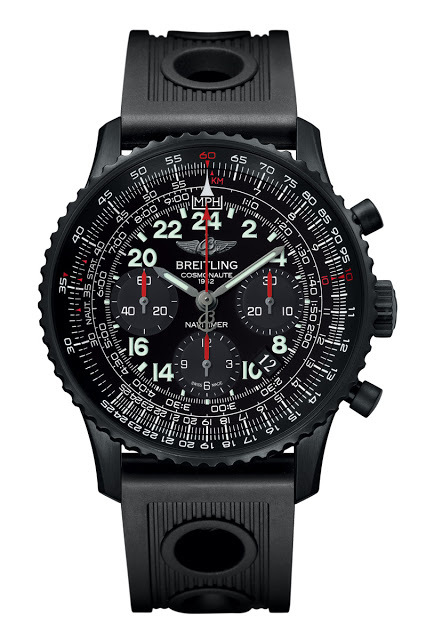 And of course this has the classic Navitimer slide rule bezel, which allows for calculation of speed, distance and other navigation tasks.